The heat here is simply awesome. 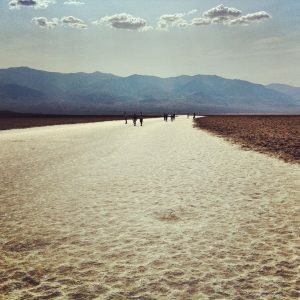 Death Valley on average is the hottest place in the world. Its that simple – this valley can “cook”. 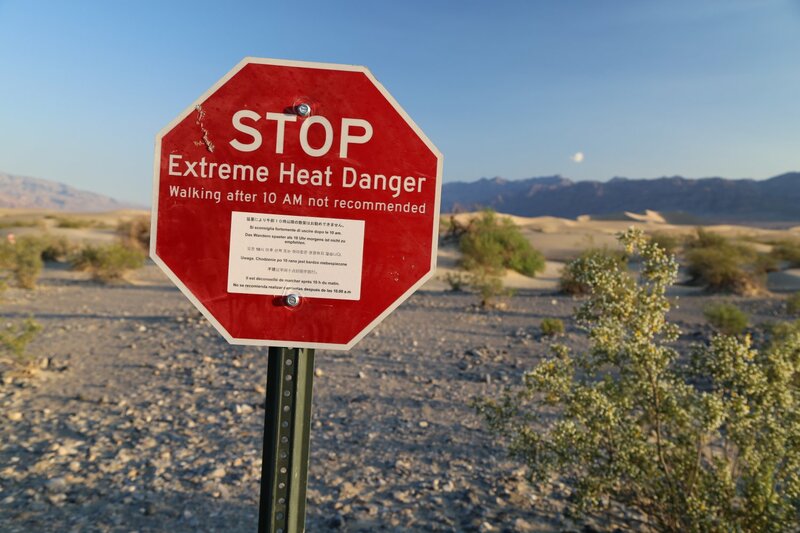 Names such as Stovepipe Wells, Furnace Creek, Devils Golf Course and Hells Gate are a dead giveaway as to the types of temperatures this valley experiences. Historically July is the hottest month of the year although late June can also see extreme temperatures. Seasons are turned around compared to typical California seasons. For most places in California the height of the tourist season is in the summer – not so in Death Valley. Here campgrounds close, the crowds diminish, and the valley’s main resort is locked up. Historically for you heat lovers the hottest summers in Death Valley are those that follow the rainiest winters. Additional heat related information: In the middle of the summer the night time low temperatures may not fall below 100 degrees (~ 38C). Try camping out in those temperatures! We have done it – its extremely hard to sleep and you wake up in sweat and you may feel trapped – feeling you are in an oven. We were the only ones at the huge Furnace Creek campground towards the end of July. The water from the campground faucets and other outdoor water facilities in the park are almost too hot to use – for drinking or washing! We have been in Death Valley where after 8pm the temperature is still well above 120 degrees – and before 9am the temperature is already above 110 degrees! 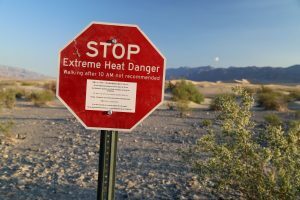 If you are looking to be in Death Valley during the absolute hottest times of the year you should go between the dates of July 10th and August 1st. Typically the hottest days will peak sometime in mid/late July although it can be damn hot anytime in July. 132 Degrees! No JOKE. It destroyed our SLR camera this day. This warning sign means business!! Summertime high temperatures in the hottest times of the year often reach 120 F + during the days (~49 C). 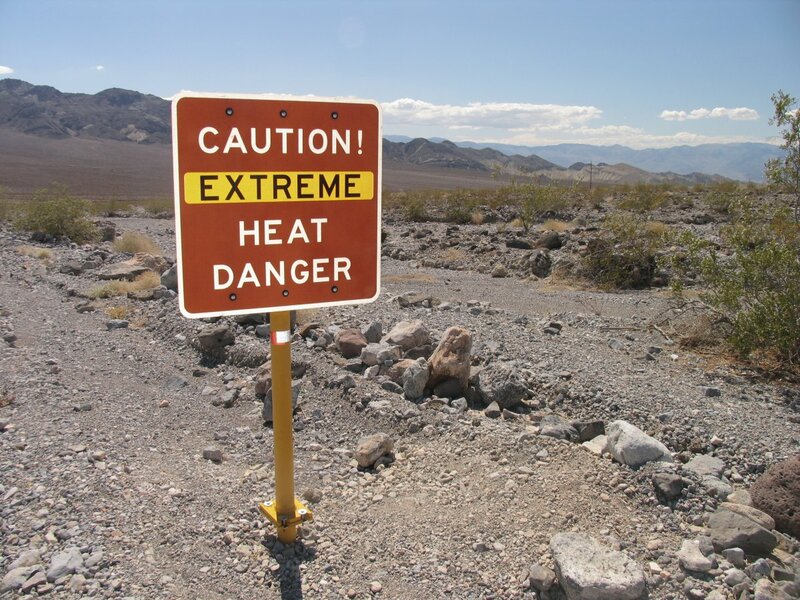 The hottest temperature in the world, 134 degrees Fahrenheit was recorded at Furnace Creek (~57 C) on July 10, 1913. The person who recorded that temperature said that swallows were falling from the sky dead on the ground because it was so hot, and the wet Turkish headband he wore was dry by the time he took the temperature and went back into his house. Official temperatures should always be taken in the shade. 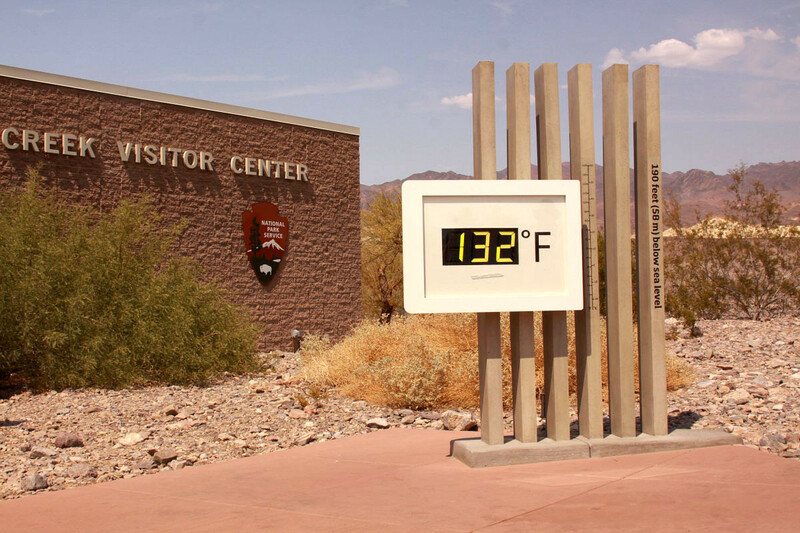 One fine July day in 1918, the low temperature recorded at Furnace creek was 110 degrees! One day in July in 2012, the low temperature was 107 degrees! Imagine trying to camp in that type of weather. There is no way you would be able to sleep at that temp. Trying to sleep out doors in 100+ degree weather overnight is hard enough. 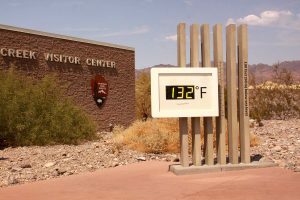 When you read the Death Valley temperatures online or in your newspaper – know that this temperature is always recorded at Furnace Creek. Badwater, the lowest point in the western Hemisphere is 18 miles from Furnace creek and typically has temperatures that are 1-2 degrees hotter than Furnace Creek. 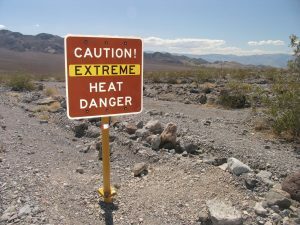 In addition, the west side of Death Valley near and south of Badwater typically is the hottest area in all of Death Valley. 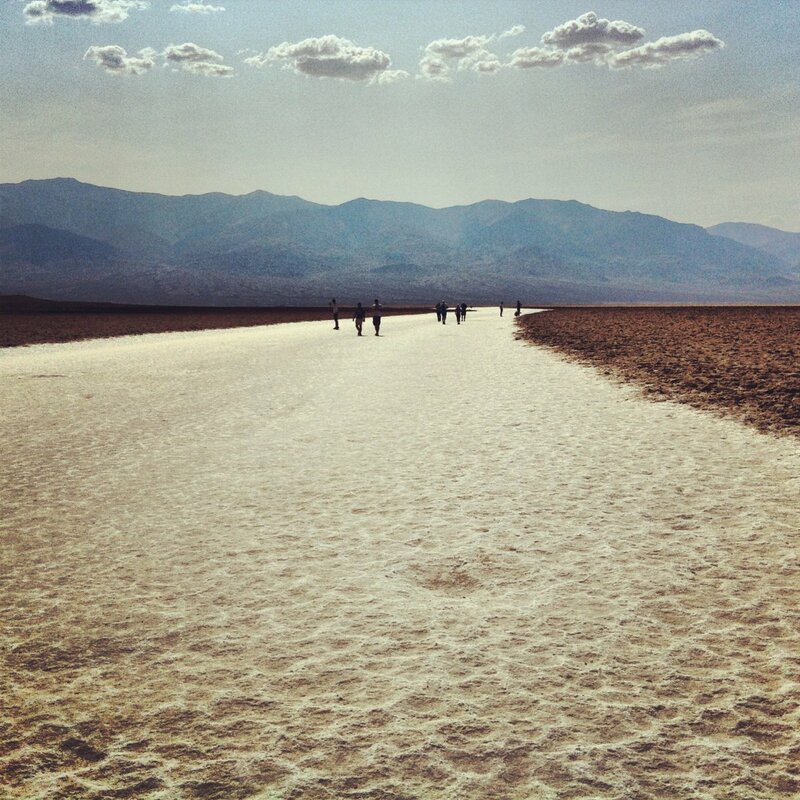 With the reflective salt – the temperatures right on the salt plain in Badwater can truly soar. We saw someone frying an egg in a frying pan when the ambient temperature was 130+ degrees + on June 30, 2013. Simply driving up in elevation will decrease the heat dramatically. For instance when its in the mid 120’s F in Furnace creek Scotty’s castle at about 3000 feet may be only around 110. That is a huge difference between the mid 120’s and 110 degrees. If you really want to experience the heat, hike out to the sand dunes on one of the mid 120 degree F days. The heat on the dunes is simply unbelievable as the sun radiates off all of those minute grains of sand. Be careful where you put your hands and feet if you are in Death Valley during these temperatures. Rocks can be way to hot to handle, over 200 degrees F have been measured – and its a good idea not to wear open toed shoes/sandals into the sand dunes as the sand is unbelievably hot. At 200 degrees F, that is just shy of the boiling point of water at sea level under normal barometric pressure conditions! 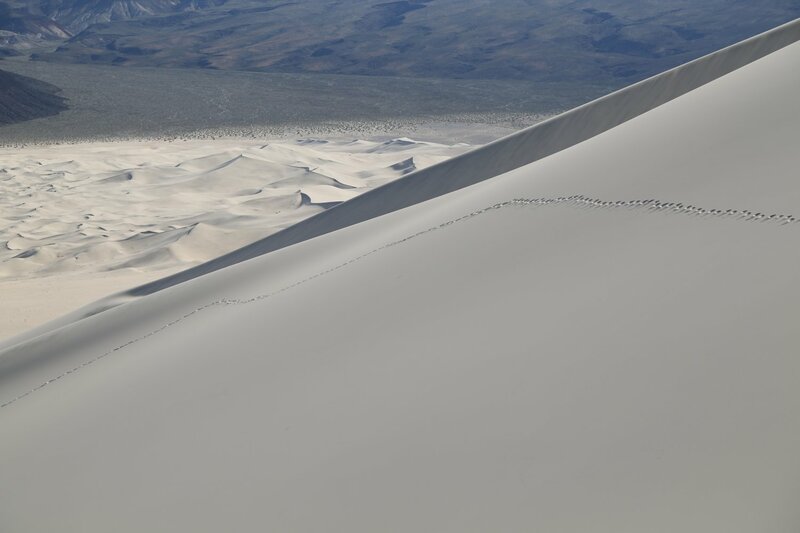 So now you want to go to Death Valley during the height of the summer temperatures. How do you handle this? First of all, take plenty of water and sport drinks such as Gatorade. It is recommended to have at least 4 liters per person per day – but I would double that in the cases of extreme heat (120 degrees +).Hiking with both a hat and a black non see through umbrella is an absolute must. I cannot say enough for the benefits of using an umbrella. Take a fairly strong and secure one as sometimes the desert winds can be fairly strong and its a real pain to have an umbrella that is constantly blowing inside out. Be sure your car is in good working condition and all the fluids have been recently checked. Also check your tires to be sure they are not too worn. There are road signs indicating you should turn off your air conditioning when climbing in elevation – newer cars don’t seem to have as much of a problem with over heating as older cars. Radiator water is located every several miles along some of the more steep roads in the park. Also consider doing the majority of your driving at night – and your sightseeing during the early morning starting with when there is first light in the sky which in the summer is around 5am. High temperatures can cause your tires to have a lot of flexibility and you should take sharp turns in the road slower than normal. During one of our visits in 2007 to Death Valley it reached 127 degrees. This was just a day or two after the temperature at Furnace creek was recorded at 129. If Furnace Creek reached 129 degrees on that day, somewhere in Death Valley it was 130 degrees or over. 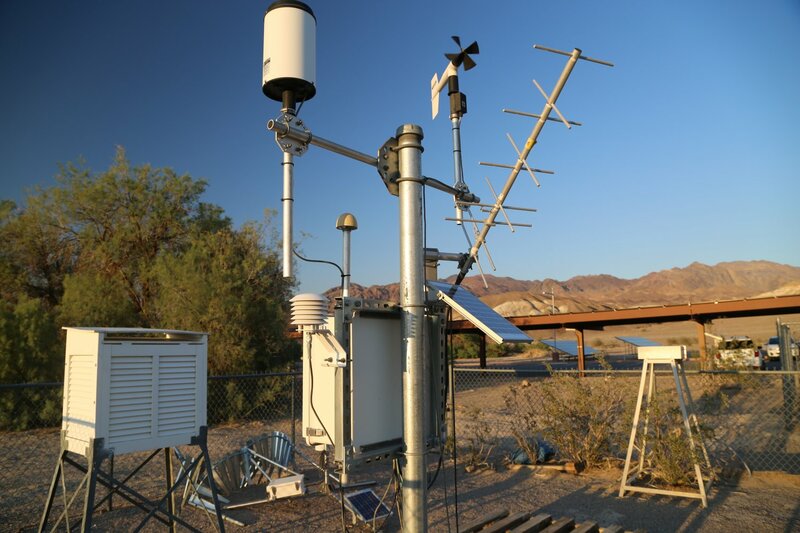 Our current official personal temperature record is 129 degrees experienced at Furnace Creek on June 30, 2013. We were also in Badwater very soon after the high temperature at Furnace Creek and it was around 130+ there. Those in the know, know that where the official temperature is recorded at Furnace Creek isn’t the necessarily the hottest part of the park at that given time. 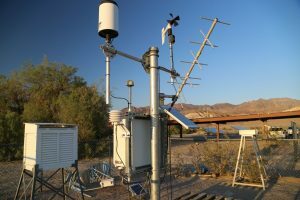 The National Weather Service maintains all Death Valley Temperature records – more information including PDF’s of temperatures. These official records are available here. This is the warmest day we have experienced so far in Death Valley. Click here to read about experiencing this type of temperature!